Actors in theater embody intangible ideas, like love or death, and make them feel inexplicably real or even personal. Such is how Holocaust history will live on once the survivors are gone. 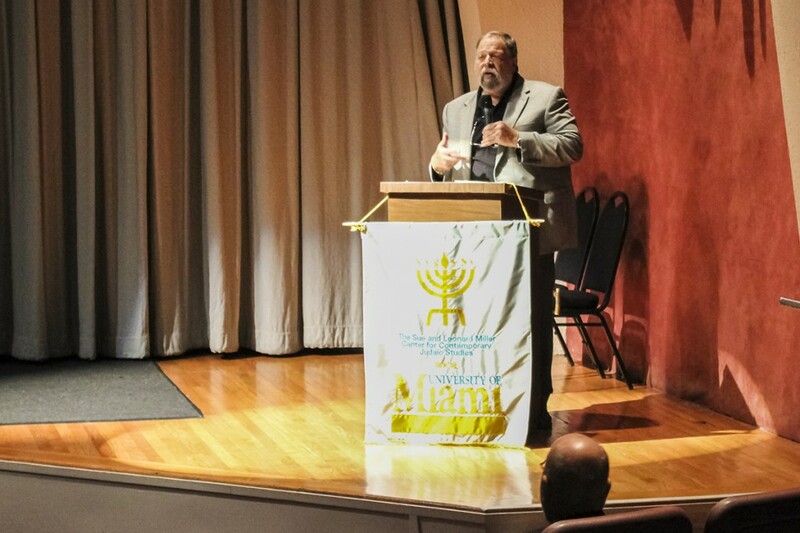 An audience gathered Tuesday evening at the Cosford Cinema to witness the launch of the Holocaust Theater Catalog, an online database dedicated to collecting Holocaust-related theater works. It can be accessed by anyone at any time through the Miller Center for Contemporary Judaic Studies’ website. The endeavor is the first of its kind. The realm of Holocaust-related works and efforts lacked a theater-specific approach. During the launch, Shaked gave introductory remarks that were followed by a screening of the play “The Soap Myth,” written by playwright Jeff Cohen and directed by Arnold Mittelman. The play questions who has the right to write history – those who experience it, those who study it or those who seek to distort it. According to Shaked, the catalog features plays from all over the world. It includes information about a play’s author, who performed it, who currently holds the rights and more. The plays themselves are not on the website, but users can contact whoever holds the play’s rights for further information on acquiring the plays. Currently, most featured plays are in English or Hebrew, but plans for expansion are in the works. “We plan at a later stage to add materials in all other relevant languages, whether it’s Polish, Russian, German, Hungarian. You name it,” Shaked said. As the curtains pulled back from the cinema screen, Mittelman, founder and director of the National Jewish Theater Foundation, also took the stage to introduce the product of a four-year effort by him and the Holocaust Theater International Initiative. He walked the audience through the website’s collection of plays and reference material. With more than 30 years of theatrical achievement under his belt, Mittelman believes that performances, rather than just lectures, help students better understand the gravity of the Holocaust and the lives of everyone involved. He hopes the catalog encourages others to produce the listed plays and further the Holocaust’s remembrance. Mittelman sometimes teaches a Holocaust-related theater class at the University of Miami. His classes included students from every collegiate year and cultural background. Yet, according to Mittelman, each student found a way to tie the Holocaust’s events to the struggles of their own heritage. Senior Sam Lubman said the event was enlightening. “Just any way to get the message out there about what happened is a good way to not dwell on it, but honor it,” he said.